John Dight of Campbell Town acquired portion 88, Parish of Jika Jika, County of Bourke, on 7 November 1838. Over the next few years, he constructed a brick mill on the site and began the production of flour. In November 1843, ownership of the land passed to John Dight and his brother Charles Hilton Dight. In 1864, the flour milling use was abandoned and the mill leased to Thomas Kenny. In the mid 1870s, the site was used by the Patent Safety Blasting Powder Co. The Dight family sold the mill site to Edwin Trennery in 1878 and he subsequently subdivided the land. The original mill on the river bank remained unoccupied until 1888, when flour millers Gillespie, Aitken and Scott, operating under the name of 'Yarra Falls Roller Flour Mills' constructed a new mill and associated buildings on the site. The mill race was rebuilt in much the same position on the site using bluestone blocks from Dight's old mill building, and a new mill and associated buildings were constructed some distance from the site of the original mill building. This enterprise was sold in 1891 to the Melbourne Flour Milling Company, run by the Hon. James Bell. In 1890, the founding Act of the Melbourne and Metropolitan Board of Works was established and the Board issued a licence to the company in 1895 for the construction and maintenance of the weir at the Falls. In 1909 The Melbourne Flour Milling Co sold ?its mill and plant on the banks of the Yarra at Abbotsford to Messrs John Darling and Son, the well known millers and wheat merchants of South Australia. John Darling and Son extended the lease with the Board of Works, but for a period of only three months. Within this time, however the mill suffered a disastrous fire and was destroyed. Most of what remained of the mill buildings was dismantled and removed from the site in the twenty years following the fire. The Melbourne and Metropolitan Board of Works has controlled and owned the site for most of the twentieth century. The site consists of the remains of the head race, tail race, turbine house, retaining wall and weir. Dights Mill Site is of social, historical, archaeological, scientific and technical significance to the State of Victoria. Dights Mill Site is of historical significance as one of the earliest industrial archaeological sites in the state. While altered, the immediate site still reflects the character of the place as it was when a mill was first constructed. Remnants of other water driven flour mills exist elsewhere in the state, however these are the only substantial remains in the Melbourne metropolitan area. The site is of major significance to the flour milling history of the state as it is believed to be the earliest surviving mill site in the state which has not been substantially built over or altered and has been associated with several prominent milling firms and families. The turbines at the Dights mill site represent one of the few surviving examples of a nineteenth century industrial prime mover that survives in situ anywhere in Victoria. The Weir although partially rebuilt in 1941 is of historical importance as it indicates the position of the original weir and the role it played in diverting the river to the turbine house. Built to help control the Yarra, its presence demonstrates the importance of the Yarra River in the role of the mill. The site illustrates the importance of the Yarra River to the development of European settlement and industrial development in Melbourne. Dights Mill Site is of social significance as a landmark in the city of Melbourne and a popular recreation area since the 1860s. The former Yarra Falls Roller Mill turbine house and its associated mill race and water turbines are of historical and technical significance to Victoria as the most intact installation of its age and type. Historically, the Yarra Falls Roller Mill was the largest capacity flour-mill in Victoria at the time of its construction. At the time of its installation in 1888, the turbines represented the largest capacity water-power system in Victoria, and were even more remarkable in their lack of any alternative back-up power system. The two 'New American' mixed flow turbines installed at this site are the earliest recorded instance of the use of this type of turbine in Victoria. They demonstrate remarkable evidence of rapid technology transfer given that this type of design was only developed in the United States in 1884, some four years earlier. Although designed primarily as a direct-drive mechanical system to operate roller flour-milling machinery, the turbines were also coupled to two small electric-lighting dynamos, making them technically the first hydro-electric plant to operate in Victoria. Dights Mill Site, Dights Falls, Abbotsford, Yarra City Council. 1. 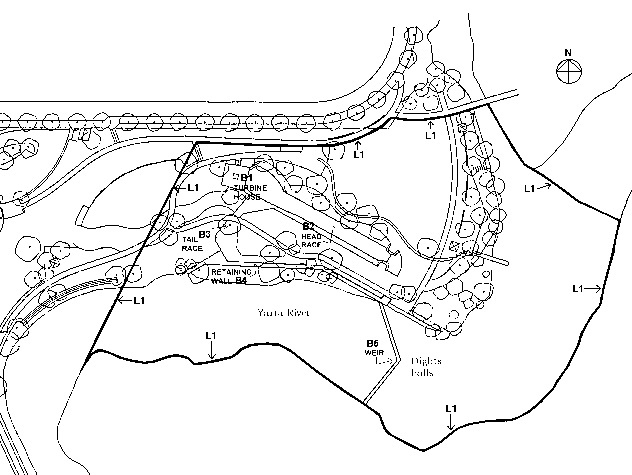 To the extent of: All the buildings being, B1 the Turbine House, B2 the Head Race, B3 the Tail Race, B4 the Retaining Wall and B5 the Weir on Diagram 601751 held by the Executive Director. 2. To the extent of: All the land marked L1 including the river bank as shown on Diagram 601751 held by the Executive Director, being part of the land described as Volume 7683 Folio 104 and Volume 4108 Folio 419. The earliest reference to Aboriginal people in the study area location appears to be from William Thomas, Assistant Protector of Aborigines, who referred to camping grounds in the vicinity of Dights Falls. It is quite likely that the natural rock falls, which existed around the Dights Mill site were utilised seasonally by Aboriginal people. 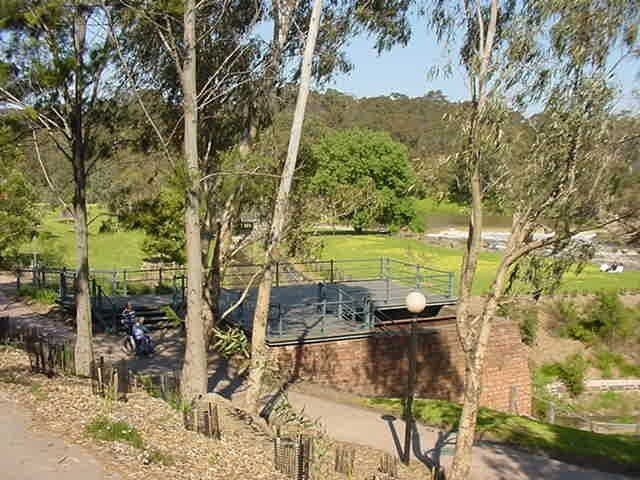 It was during the 1860s that a series of natural rock bars across the lower part of the Yarra River near Queen Street was removed to improve access and navigation and reduce flooding. John Dight of Campbell Town New South Wales, together with his wife Isabella, acquired portion 88, Parish of Jika Jika, County of Bourke, on 7 November 1838. Over the next few years, Dight constructed a brick mill on the site and began the production of flour. In November 1843 , ownership of the land passed from John and Isabella Dight, to John Dight and his brother Charles Hilton Dight. The enterprise endured fluctuating fortune through the 1840s and up until the early 1860s, and in 1864, the flour milling use was abandoned. The mill was leased to Thomas Kenny under a fourteen-year agreement. Kenny is thought to have used it as a paper mill for some time during this period, but by the late 1860s the mill appeared to have been abandoned and to be in a derelict state. In the mid 1870s, the site was used by the Patent Safety Blasting Powder Co., the proprietors of which appear to have constructed a separate factory building for their own purposes. The Dight family sold the mill site to Edwin Trennery in 1878. In 1879, Trennery subdivided the land further from the river; this land was sold at auction by Gemmell, Tuckett and Co. as the Campbellfield estate. Purchased at this time by J J Kelly, the individual allotments, which made up the estate were again offered for sale in 1881. The original mill on the river bank remained unoccupied until 1888, when flour millers Gillespie, Aitken and Scott, operating under the name of ‘Yarra Falls Roller Flour Mills’ constructed a new mill and associated buildings on the site. This enterprise was sold in 1891 to the Melbourne Flour Milling Company, run by the Hon. James Bell, with company manager T Cadwallader. In 1890, the founding Act of the Melbourne and Metropolitan Board of Works vested in it ‘all the bed soil and banks of the River Yarra Yarra and of all the other public rivers, creeks and watercourses within the metropolis’. Presumably, this included the riverbank site used by the Melbourne Flour Milling Company, in addition to the riverbed itself. 1923 Metropolitan Drainage and Rivers Act. The Board issued a licence to the company in 1895 for the construction and maintenance of the weir at the Falls, and to construct a channel and works upon certain and specified Crown Lands, with authority to deviate water from water from the river to the same extent, but no greater than they might divert the same if they were the owners of such Crown Lands. The Melbourne Flour Milling Co. survived at Dights falls until 1909, when it sold ‘its mill and plant on the banks of the Yarra at Abbotsford to Messrs John Darling and Son, the well known millers and wheat merchants of South Australia. John Darling and Son extended the lease with the Board of Works, but for a period of only three months. Within this time, however the mill suffered a disastrous fire and was destroyed. Most of what remained of the mill buildings was dismantled and removed from the site in the twenty years following the fire. The Melbourne and Metropolitan Board of Works has controlled and owned the site for most of the twentieth century. Associated with the race and fundamental to an understanding of its operation is the weir and this structure must also be seen as being of considerable significance . 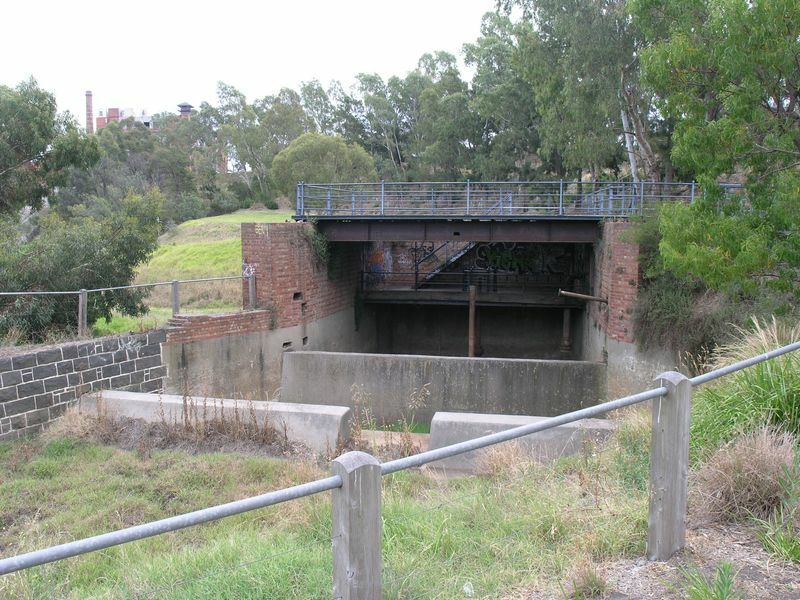 The Melbourne and Metropolitan Board of Works issued a licence to the company in 1895 for the construction and maintenance of the weir at the falls, and to construct a channel and works upon certain specified Crown Land. The committee requested that the statement of significance reflect the primary importance of the weir’s presence, position and function and the lesser importance of its structure. Weir: River-dam raising level of upper stream. The present weir, a timber crib structure which was partially rebuilt in 1941, is thought to have been constructed by the Melbourne Flour Milling Company in 1895. The present weir is a timber scribbage structure of shod and driven piles with vertical sheeting on the upstream and downstream faces, filled with spalls, and decked with timber kerbs secured with drift bolts. The left half of the weir (the portion rebuilt in 1941) consists of potted piles and sheeting as formerly, but includes a floor of timber battens to more effectively lead the structure. The rebuilt timber frame is also secured to the foundation rock by grouted bolts. 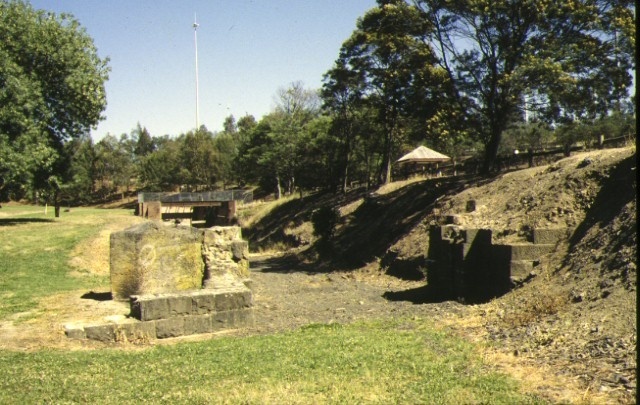 Within a wider context, the extant remains at the Dight's Falls site represent an important link with what is probably Melbourne's oldest surviving industrial site. Together with the wood-working steam engine and underfloor rope-drive at the Newport Railway Workshops, the turbines at the Dights mill site represent one of the few surviving examples of a nineteenth century industrial prime mover that survives in situ anywhere in Victoria. The site of John Dight's Mill on the Yarra is of significance as one of the earliest industrial archaeological sites in the State. It is of added significance in that, while altered, the immediate site still reflects the character of the place as it was when a mill was first constructed. 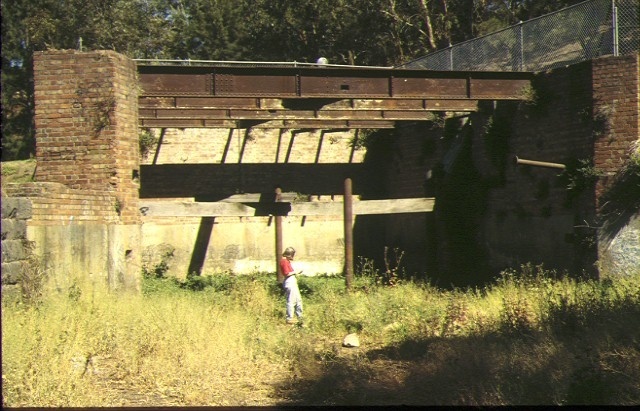 Within the site the remnant mill race, turbine house, sluice gate piers and retaining wall are the last visible remains of milling operation on the site and are the only such remains on the Yarra River. While remnants of other water driven flour mills exist elsewhere in the state these are the only substantial remains in the Melbourne metropolitan area. Of the four extant water turbines that survive in Victoria, the two at Dight's Mill are both the largest and the oldest. There appear to be no other extant examples of both this age and size of water turbine within Australia. 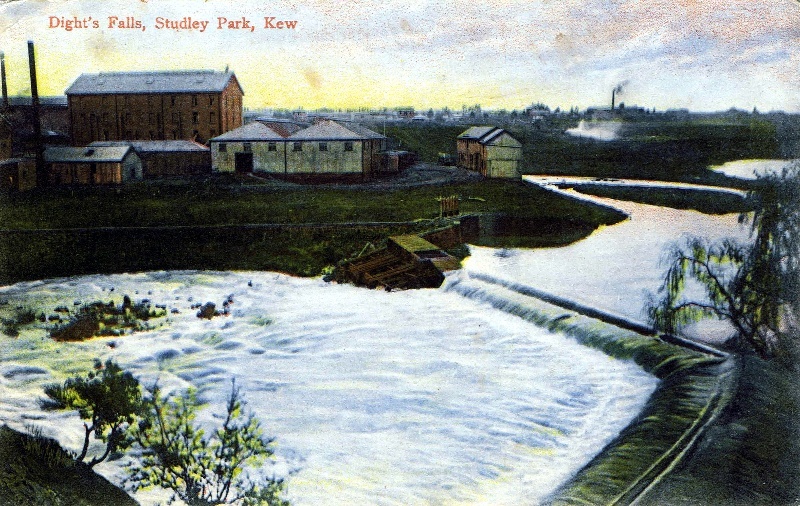 The site is of technological significance as one of very few sites to have utilised water turbines to drive the second mill. While the extent of the machinery surviving is unknown the site has considerable archaeological potential should the turbines still be in place. 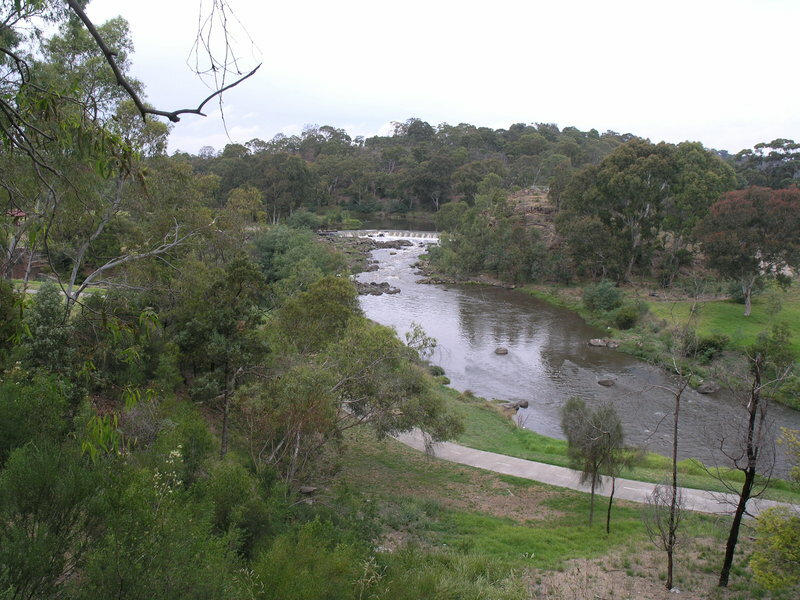 The site illustrates the importance of the Yarra River to the development of European settlement and industrial development in Melbourne. Dights Mill Site is of social significance as a landmark in the city of Melbourne and a popular recreation area since the 1860s. The former Yarra Falls Roller mill turbine house, and its associated mill race and water turbines, are of historical and scientific (technical) significance to the state as the most intact installation of its age and type. Historically, the Yarra Falls Roller Mill was the largest capacity flour-mill in Victoria at the time of its construction and one of the first flour-mills in the colony to be equipped with electric lighting. At the time of its installation in 1888, the turbines represented the largest capacity water-power system in Victoria (500 horsepower, compared with 400 horsepower at Bridgewater Flourmill), and were even more remarkable in their lack of any alternative back-up power system. The two 'New American' mixed flow turbines installed at this site are the earliest recorded instance of the use of this type of turbine in Victoria and demonstrate remarkable evidence of rapid technology transfer given that this type of design was only developed in the United States in 1884, some four years earlier. Although designed primarily as a direct-drive mechanical system to operate roller flourmilling machinery, the turbines were also coupled to two small electric-lighting dynamos, making them technically the first hydro-electric plant to operate in Victoria. The site has been associated several prominent milling firms and families. 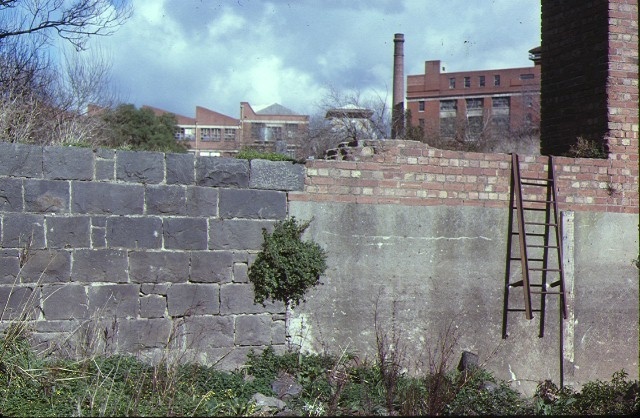 * No permits are required for works which are in accordance with the Conservation Policy contained in Former Dight’s Mill, Collingwood, Conservation Analysis, prepared by Allom Lovell & Associates Pty Ltd, City of Collingwood, March 1993.